The union that represents MLS, NWSL and USL referees has a collective bargaining agreement that expires in January. The union that represents referees who call MLS, NWSL and USL games across the United States and Canada has taken a strike authorization vote after filing an unfair labor practice charge against the Professional Referees Organization. PRO, as it’s known colloquially, is the entity with which the union - the Professional Soccer Referees Association - has a collective bargaining agreement. PRO’s work includes assigning referees to games, overseeing the video assistant referee system in MLS, and working with journalists who speak to referees as pool reporters at MLS and NWSL games. PSRA president Steve Taylor told the Inquirer and Daily News that the unfair labor practice charge is a consequence of PRO delaying and canceling meetings from July through October, after bargaining on a new CBA began in March. “It’s a typical management tactic where they will delay and delay, and then at the last minute try to ram a bad deal down our throats,” Taylor said. The current CBA, signed in 2014, expires on January 19. 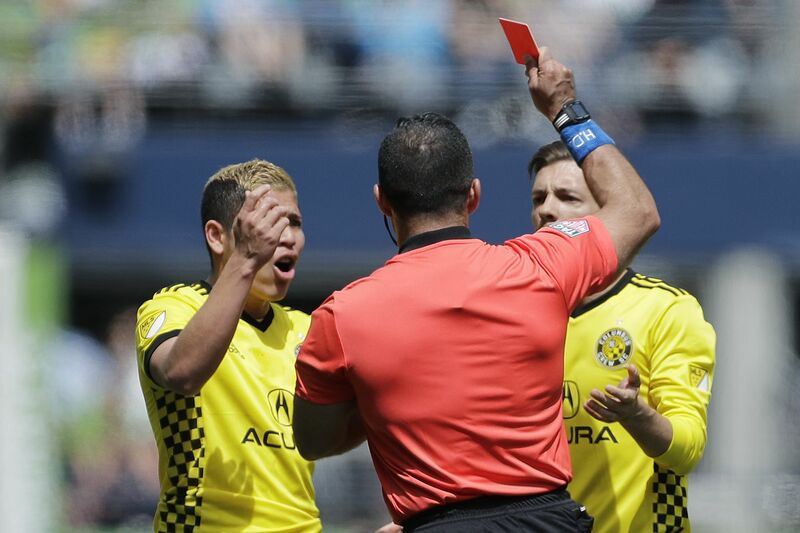 The last round of negotiations included a lockout of referees by PRO that lasted two weeks into that year’s MLS season. Taylor noted that the union came to the table 10 months in advance in order to get a new deal done with plenty of time to spare. The union thus went to the National Labor Relations Board’s regional office in Manhattan to file a charge alleging that PRO “unlawfully delayed and canceled bargaining sessions." The NLRB found the charge to have merit, but dismissed the case on grounds that it didn’t rise to a level worth prosecuting. The PSRA’s statement, not surprisingly, took a positive spin on that by highlighting the NLRB’s finding of merit. Philadelphia-based labor attorney Steve Holroyd, who represented baseball umpires in a labor action against Major League Baseball in 1999, said the NLRB’s ruling has precedent. He also wasn’t surprised by the PSRA’s positive take. Referees often draw the ire of players, coaches and fans. They say they also aren't being treated well by their management. The most prominent member of PRO is general manager Howard Webb, a longtime English Premier League and World Cup referee. He moved to America last year to help MLS implement VAR, and this past January was elevated to PRO’s top job. But while Webb is PRO’s de facto public face - including to the referees’ union at times - he can’t sign a CBA on PRO’s behalf. The ultimate decision-making power rests with PRO’s board, of which Webb is not a member. “We’re often of the opinion that we’re not dealing with the true decision-makers directly," Taylor said. The board members are Todd Durbin, MLS' executive vice president for competition and player relations; Rick Eddy, the U.S. Soccer Federation’s director of referee development; Peter Walton, Webb’s predecessor as PRO GM and now a consultant to the organization; and Jim Brown, who was the managing director of North America’s successful 2026 World Cup bid. Brown is the PRO board’s chairman. He previously worked at FIFA as its executive director of competitions from 2003 to 2010, and was an advisor to FIFA on running the 2014 men’s World Cup. Ryan Mooney, another longtime high-ranking USSF employee, was also on the board until recently. Earlier this month, Mooney took a job with a new sports business venture that Philadelphia Union minority owner Richie Graham is launching. Mooney’s employment with U.S. Soccer formally runs through the end of the month, but he recused himself from PRO matters (and other matters) when his move to Playmakers was finalized. The PSRA’s statement made a point of blaming the board, not Webb, for the impasse. On Tuesday, PRO issued its own statement. Not surprisingly, it had a different tone from the PSRA’s statement. That statement did not address the PSRA’s charge that board members who make some big decisions did not show up at the bargaining table. Nor did it acknowledge that the NLRB found merit in the PSRA’s charge that PRO was not bargaining in good faith, even if the board decided to not act on it.